FIRST EDITION. 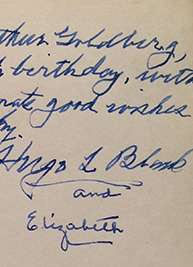 Presentation copy inscribed by Black: “To our friend, Arthur Goldberg, on this his forty ninth birthday, with our warm and affectionate good wishes to him and to Dorothy, Hugo L. Black August 8, 1967” and further signed by his wife Elizabeth. Black, once a member of the KKK and later one of the greatest defenders of civil liberties, inscribes this volume to fellow Supreme Court Justice Goldberg. 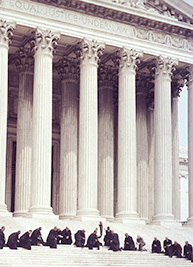 Black, Warren, Douglas, Brennan, and Goldberg were key members of the liberal wing of the court in the 1960s. Completed in 1935, the magnificent neoclassical Supreme Court Building features the motto “Equal Justice Under the Law” on the west facade. This splendid, enormous color photograph was taken by famed LIFE magazine photographer Ed Clark: “Black Church Leaders pray on the Supreme Court steps for integration to succeed” (Herrera, Frank, Ed Clark: Decades). 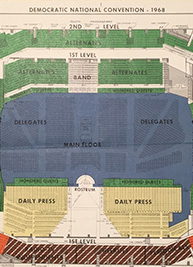 The 1968 Democratic National Convention of 1968, held in Chicago, was a landmark event in American political history. John M. Bailey of Connecticut, who had helped to orchestrate Johnson’s landslide victory in 1964, oversaw the contentious presidential campaign of 1968, in which Robert Kennedy, Hubert Humphrey, Eugene McCarthy, and others sought the Democratic nomination. This is a collection of papers to and by longtime Democratic National Committee Chairman John M. Bailey. 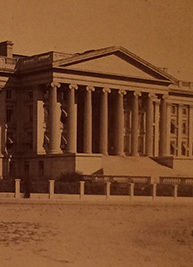 Fine Large-format Photograph of the Treasury Building, "a national landmark and the leading classical revival structure in our nation’s capital"
“The architecture of the West Wing makes the Treasury building a national landmark and the leading classical revival structure in our nation’s capital as well as being an icon to the period of America’s Civil War” (Cote). Liberty’s Torch in Madison Square Park. no publisher, negative ca. 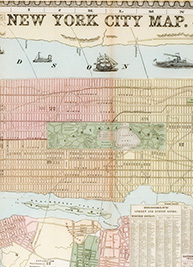 1876, made from a print, late 19th century. 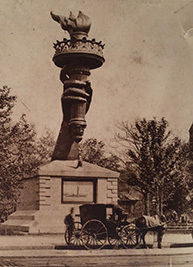 The torch of the Statue of Liberty was exhibited in Madison Square Park, New York to raise funds for the statue’s completion. The torch remained in the park from 1876 through 1882. FIRST EDITION. 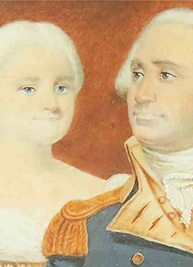 Jay was a member of both Continental Congresses, first Chief Justice of the U. S. Supreme Court, governor of New York, and author of five Federalist Papers. 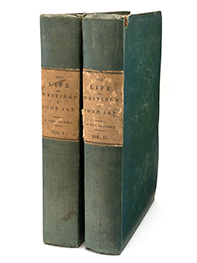 Edited by Jay’s son, this biography is also the first important publication of Jay’s papers. Jay died in 1829. FIRST EDITION. 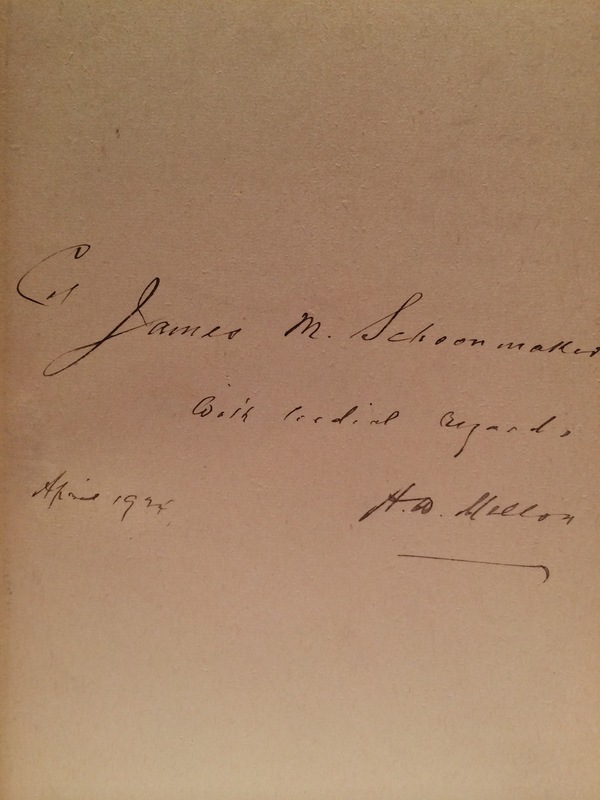 Presentation copy inscribed and signed by Andrew Mellon, one of the wealthiest men in the world and Secretary of the Treasury from 1921-32.